Julia Albini/ The Minaret Tampa is expected to get hit with more rain and thunderstorms throughout the week due to Hurricane Matthew. A hurricane in the same category as Hurricane Katrina is ravaging the Atlantic Ocean and endangering the lives of countless people. “It is one of the deadliest Caribbean storms in almost a decade,” according to Reuters News Company. This is a testament to the damage it is causing in Haiti, Cuba and the east coast of Florida. There have been reports by WeatherChannel.com of wind speeds in Haiti reaching up to 120 miles per hour and classifying it as a Category 5 hurricane: the deadliest kind. The damage in Haiti is so immense to the point that the United Nations calls it the worst humanitarian disaster in Haiti since the 2010 earthquake. “Hurricanes start as a result of rising warm air and cool air replacing it, which causes a spiraling motion that starts as a tropical depression, but that can strengthen on to become a hurricane,” said Jessa Madosky, an environmental science professor. On Sept. 23, Hurricane Matthew was a category 3 hurricane, but it spiked due to the humidity and its distance to the equator. “Rising global temperatures and the tropical weather combine to add heat to mix, which subsequently snowballs into a Category 5,” Madosky said. Hurricane Matthew was unique in how fast it developed and that the wrath of the storm hit underdeveloped countries like Haiti, which was disastrous for the country. To add to the intensity, Haiti is still recovering from a catastrophic earthquake in 2010, which explains the extensive media coverage on the storm. Hurricane Matthew has prompted Florida Governor Rick Scott to evacuate millions from the Florida east coast and warn all residents to be prepared at a moment’s notice. Scott told people to not focus on the projected path of the storm because slight deviations in projections can mean catastrophic devastation. The projected path of Matthew does not directly indicate that it will cause anything disastrous in the Tampa Bay area, but significant rainfall and wind is expected to hit around Thursday and Friday. “The Tampa Bay area has not been struck by a hurricane in 90 years, but that lucky streak is going to run out,” according to The Tampa Bay Times. 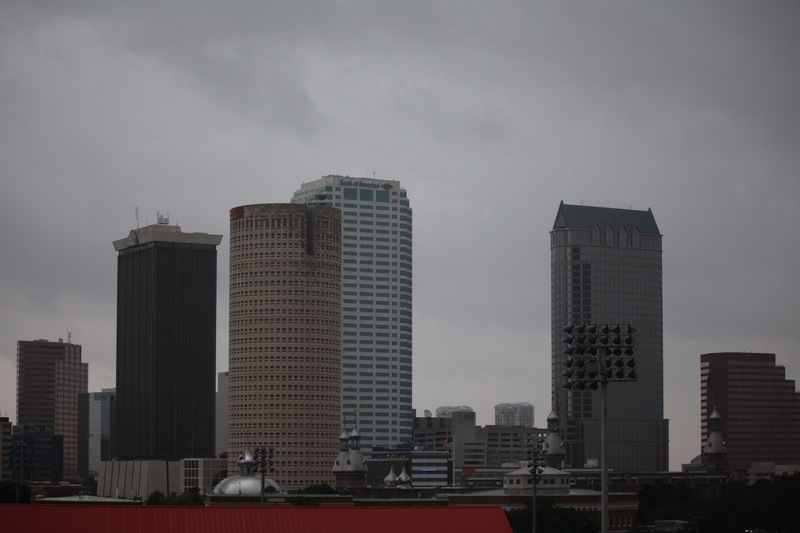 In the event it were to hit the Tampa Bay area, Madosky urges students to air on the side of caution and follow the procedures in the Dean of Students’ handbook. As of now the UT does not have any plans for operational changes. Students can check http://www.ut.edu/weather/ for storm updates. President Vaughn will assess the situation and will make the call to assemble an Emergency Operations team. Madosky also advises students to stay regularly updated with the weather and not to panic. Connor Brown, a freshman cybersecurity major, said that he knows of the intensity of Hurricane Matthew, but he is not entirely worried. Michael Yu can be reached at michael.yu@spartans.ut.edu.